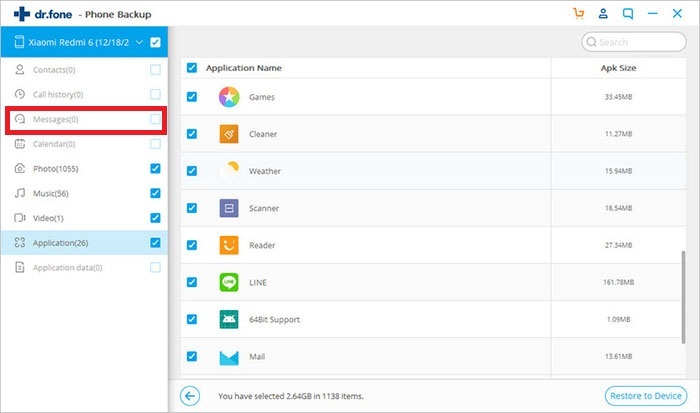 If we split the term Samsung Launcher, “launcher” stands for the app which is held responsible for the launching of the home screen, the applications, the main menu also known as app 'grid'. 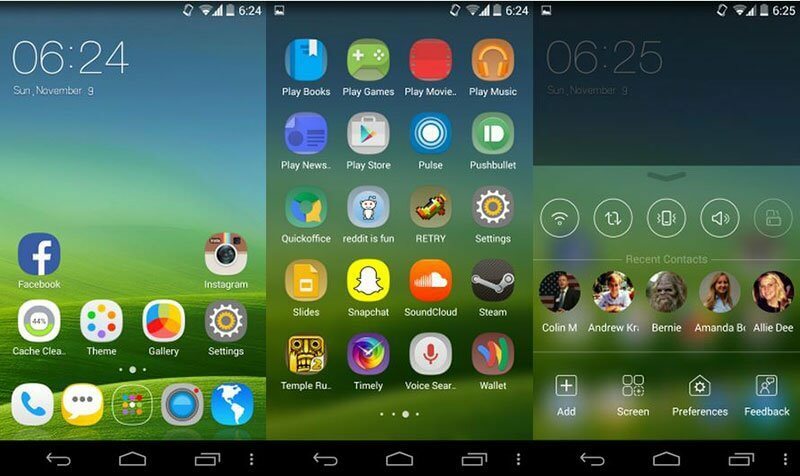 In other words, the launcher is out of the most prominent aspects of on an Android smartphone’s User Interface (UI). 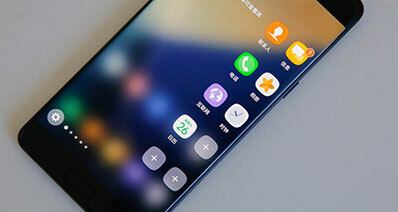 On Samsung smartphones, some users may love its TouchWiz launcher that has been operating from several years while others may not. Usually, Android smartphones are either stocked with Google Launcher or a custom defined launcher on top of the hardware like Samsung stock smartphones with its Samsung Galaxy launcher. If you’re not satisfied with the Samsung galaxy launcher your smartphone is stocked with, you can always search among the diverse range of Samsung launchers for Android and install a much more appealing one, that too, within just a few minutes. Let’s get familiar with the Top 10 most loved apps for Samsung Android smartphones. The list of launcher apps listed below requires Android platform in order to work properly on the smartphones. 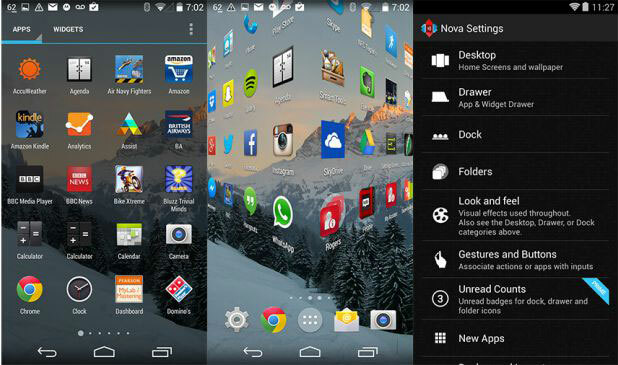 Nova Launcher is a highly loved and one of the best Samsung launcher apps due to its material design and high flexibility on customization & performance. This launcher app is allows you to modify and enhance the layouts, animations, icons and much more with its unlimited icons, much better widget drawer, change sub-grid positions and color controls. On top of that it is extremely fast on operating speed. CM Launcher 3D is another contender for most appropriate Samsung galaxy launcher app. It is specially designed to enrich your smartphone’s UI with a stylish and more personalized look. The app is loaded with features like amazing 3D transition effects, that too, with superb speed. It also offers advanced security, battery saving and flexibility with the languages as well. 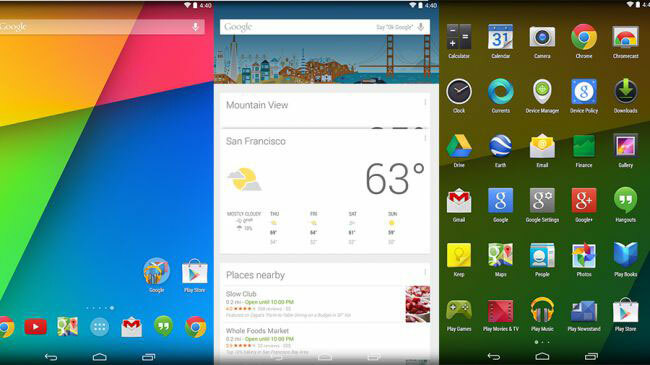 Google Now Launcher is specifically designed to support all Google Play edition and Nexus devices. Being built specifically for the Android standards the Google Now Launcher is not at all boring and is also a free launcher app with button-free voice controls. Cherry on the cake, it makes the window-bars enough transparent that you may actually get a feel of Windows Vista in your smartphone. Before you opt for any Samsung launcher, it is necessary to backup everything in your Samsung device. iSkysoft Toolbox – Android Data Backup & Restore helps you to backup messages, videos, audios, contacts, gallery, call history, app, app data and more. It fully supports every Android devices. It allows user to restore the backup files to other Android phones. The Apex Launcher Pro is yet another stunning 3D launcher program. This fully functional app is loaded with 3D transition effects, improved widget options and flexible theme choices. It enables the user with powerful customizations to design a fully customized home screen as well. You would have to pay a nominal amount to use this app as it is not freely available to download and test. 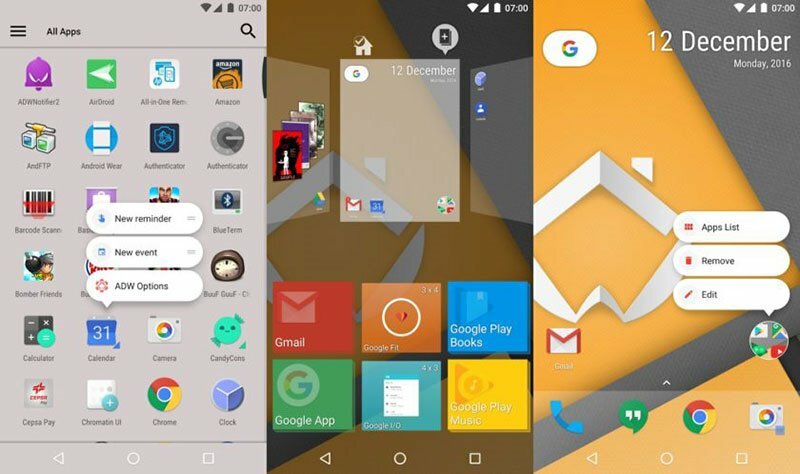 The Next Launcher 3D Shell Lite is another launcher app on the list, offering users a real 3D visuals experience, highly personalized home screen replacement and 3D dynamic effects. The premium version of this app has numerous features like it supports up to 8 unique gestures, multiple widget drawers or screens, flexibility with languages and improved border effects. TSF is a yet another Samsung galaxy launcher that offers the users to define the home screen elements freely. This launcher also comes with an incredible animation effects. 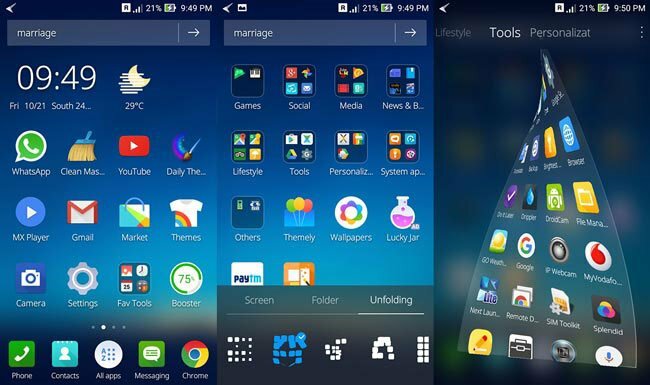 The users can make their phone elegant and stylish using this 3D Samsung launcher. 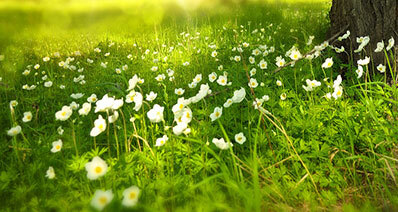 Moreover, its 3D widget features can bring amazing visuals. This comes next in the list of Samsung launchers for Android which gives so many benefits to the users and allows them to personalize the phone as they wish. You can avail advanced security options, quick updates, double tap gestures for accessing applications and contacts and many more, making the app praiseworthy. In addition, this Samsung galaxy launcher provides integrated lock screen and is compatible with almost any Android device. This Samsung launcher for Android also comes with remarkable features and is able to support Android 4.1 and later. The developers have updated this launcher with numerous improvements like, improvements in context menu, icon property dialog, folder icon dialog etc. it has also added desktop transitions, new wrap folders, fast application search and many more features. All in all, it’s a good alternative. 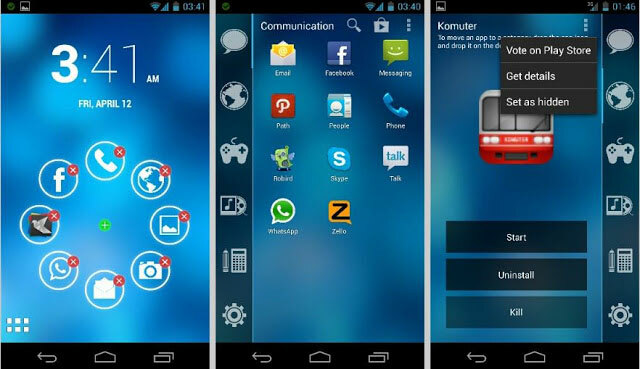 Here comes another 3D Samsung galaxy launcher which is smart, skilled, safe, clean and fast. With the launcher, one gets the facility to create wallpaper on its own. The launcher is able to offer amazing personalization facilities and is compatible with majorly 99% Android phones including Samsung Galaxy, Lenovo, Alcatel etc. 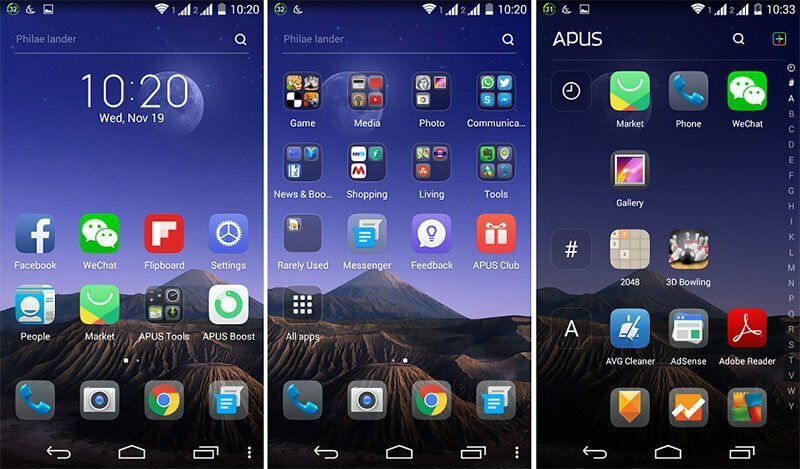 This app launcher gives opportunity to make the phone stylish with limitless exciting themes and wallpapers. It extends battery life with its battery saver feature. Moreover, the users get the chance to alter the app icons according to their wish. On the whole, this app launcher has a good taste of personalization that makes the users happy with the results.